^ 1.0 1.1 Who We Are. 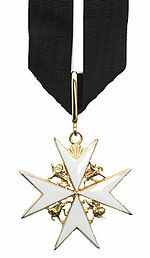 The Order of St. John. [9 August 2009]. （原始内容存档于2009年6月9日）. ^ 2.0 2.1 Canada Wide > About Us > The Order of St. John. St. John Ambulance Canada. [10 August 2009].